PLYMOUTH — Yixin Wang has been named chief scientific officer of DeNovo Sciences Inc., an innovator of cutting edge products of liquid biopsy. 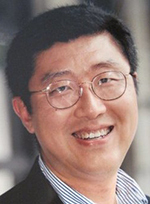 Wang is a veteran in molecular diagnostics where he has played significant R&D roles at large, multi-national companies. He will lead strategic initiatives for clinical development of DeNovo’s technology in the United States and overseas. Previously, Wang was vice president, molecular probes at Ventana Medical Systems/Roche, a world leader of tissue-based diagnostic solutions for cancer patients; and executive director, R&D at Veridex, an oncology molecular and cellular diagnostic business of Johnson & Johnson. He also has extensive experience working with pharmaceutical groups, identified molecular markers, and developed and validated companion molecular assays. Wang, who will be moving to Ann Arbor, earned his Bachelor of Science in biochemistry from Beijing University and his Ph.D. in molecular biology from Cornell University.